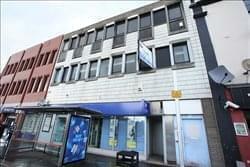 Find My Workspace lists over 95% of the business centres market in Paisley. Simply click Request Quote to check pricing for one office, or Add to Basket for multiple offices. 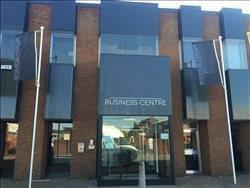 This newly refurbished business centre is ideally situated. Housed in the prominent former M&Co building, the facility offers a full range of office, business and storage services. Tenants will also have access to kitchen and conferencing facilities as well as the added luxury of being directly connected to a bespoke constructed Self Storage operator offering the cheapest indoor storage in Paisley. The office suites are fully secure, requiring Fob access to advance beyond main reception, while 24/7 CCTV monitors the property at all times. Your monthly rental figure includes rent, rates and electricity as well as a fixed private parking spaces at the main entrance to the building. The terms offered are also extremely flexible, all the centre asks for is one months notice from the tenant yet guarantee no price movements within the first two years of your tenancy, or longer if you so desire, offering security to your occupancy. To obtain information for your selected Renfrewshire Business Centres, please tick the "Add to basket" box for each office you prefer and complete the form below. We will then send a detailed report via email.